Priyanka Chopra parties in Hollywood, while her Mary Kom team has bash back home. Mary Kom director Omung Kumar hosted a success party for his National Award-winning film at Hotel Lotus Grandeur in Andheri, a western suburb of Mumbai, on May 12. The film's titular character Priyanka Chopra is currently away in New York, celebrating the trailer launch of her Hollywood debut in the American show Quantico. 'I am so sorry I can’t be there for the Mary Kom party tonight, Omung Kumar. But I’m there in spirit. Big love to you and the team! This one is special,' Priyanka tweeted to her team. Meanwhile, here's a look at the guest list. 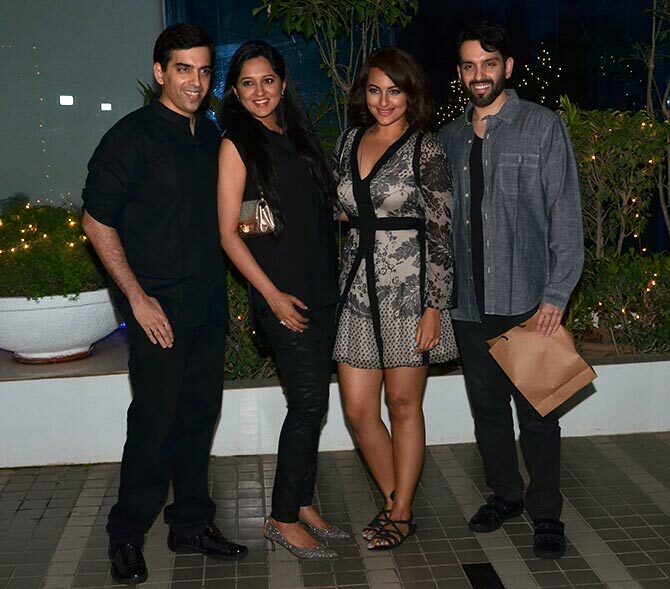 Sonakshi Sinha lends star power to the party. The actress was escorted by her brothers Luv and Kush, and Kush's wife Taruna. 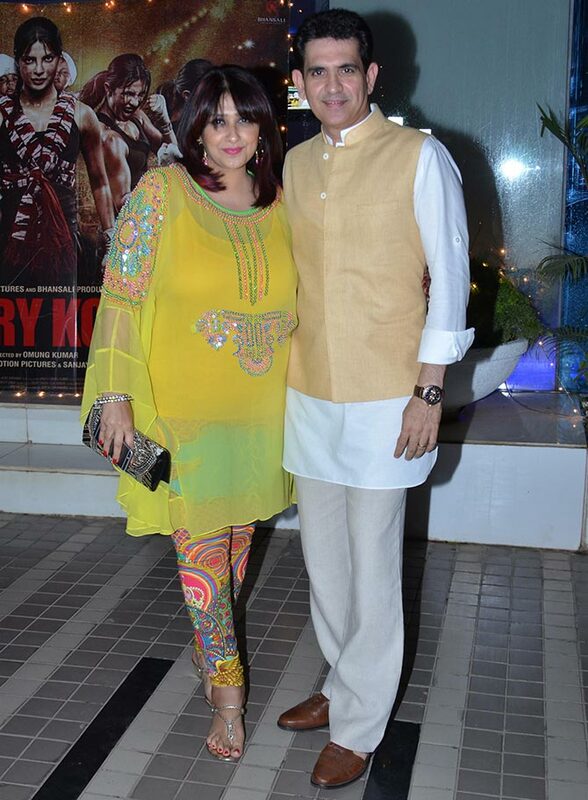 Omung Kumar poses with wife Vanita. Singh Saab The Great actress Urvashi Rautela and Traffic Signal actress Neetu Chandra pose for the camera. 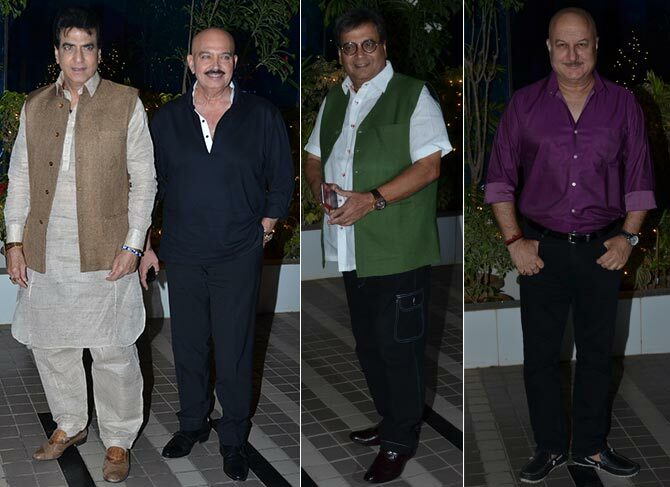 The veterans: Jeetendra, Rakesh Roshan, Subhash Ghai and Anupam Kher. 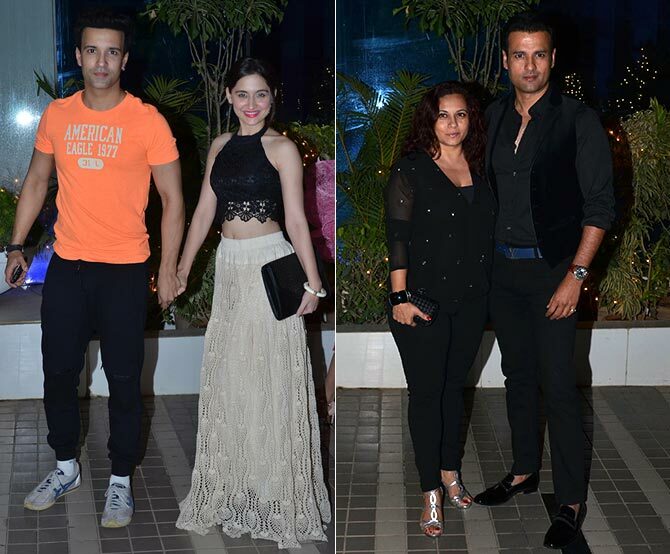 Television's star couples Aamir Ali-Sanjeeda Shaikh and Rohit Roy-Mansi Joshi arrive. 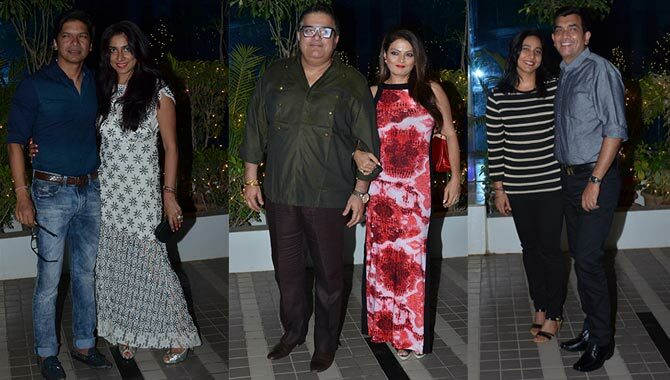 And some more star couples: Shaan-Radhika, Sheeba-Akashdeep and Sanjeev Kapoor-Alyona. 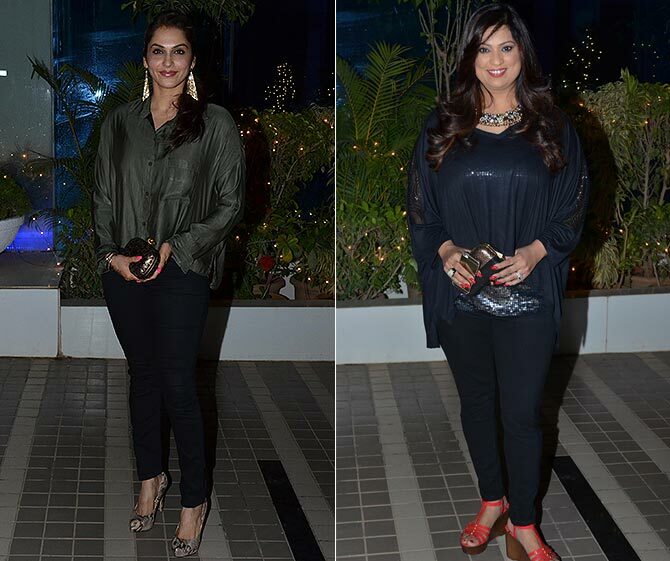 Isha Koppikar and singer Richa Sharma pose for the camera. 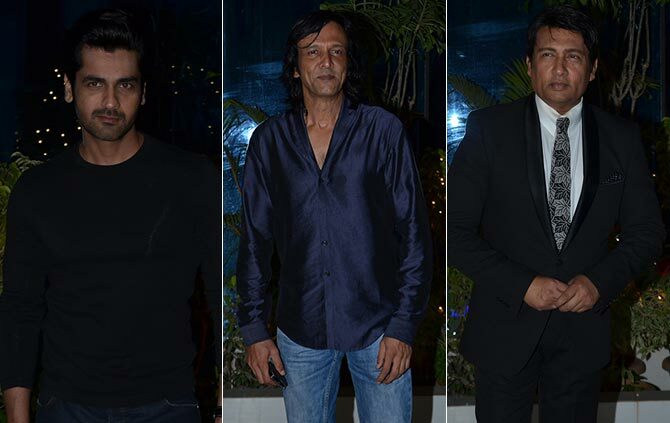 Actors Arjan Bajwa, Kay Kay Menon and Shekhar Suman arrive. Arjan had co-starred with Priyanka earlier in the film, Fashion. 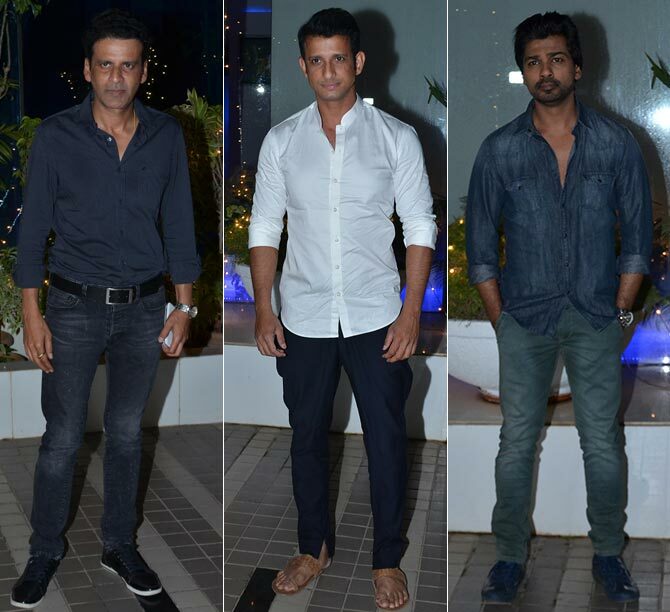 Manoj Bajpayee, Sharman Joshi and Nikhil Dwivedi. 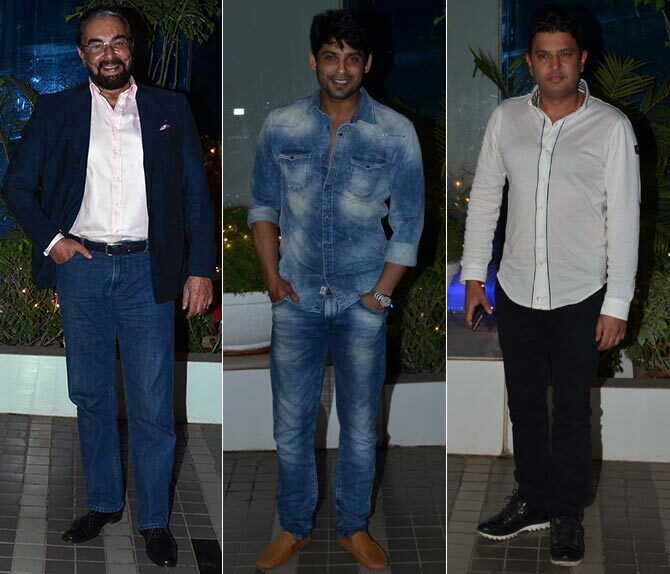 Kabir Bedi, television actor Siddharth Shukla and T-series head honcho Bhushan Kumar. 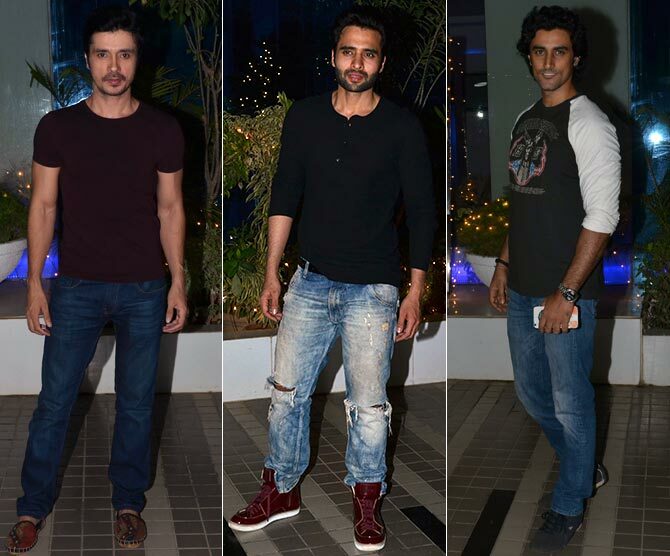 Mary Kom lead actor Darshan Kumar is spotted with actors Jackky Bhagnani and Kunal Kapoor. 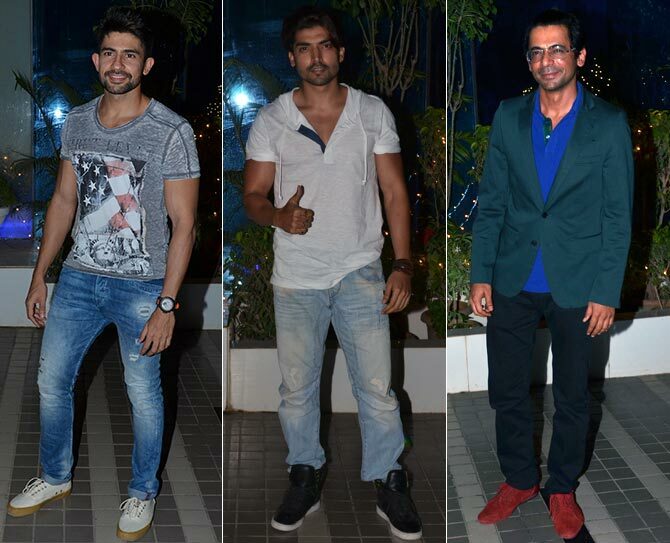 Television actors Hussain Kuwajerwala, Gurmeet Chaudhary and Sunil Grover. Watch Gurmeet's ad dance here! 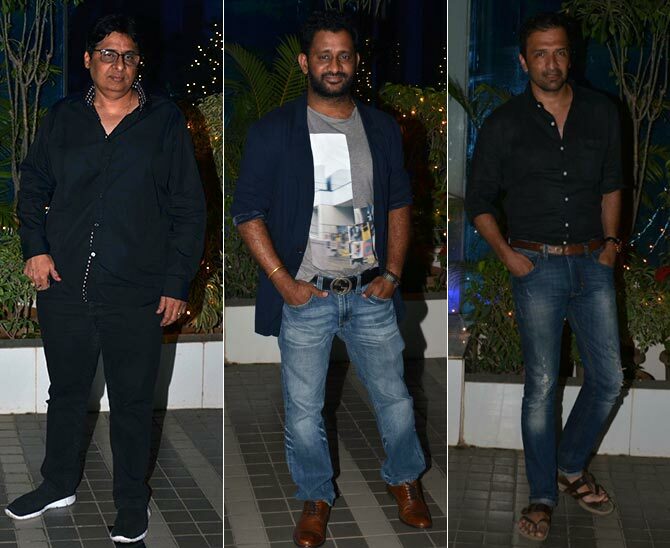 Producer Vashu Bhagnani, Oscar-winning sound designer Resul Pookutty and photographer Atul Kasbekar. 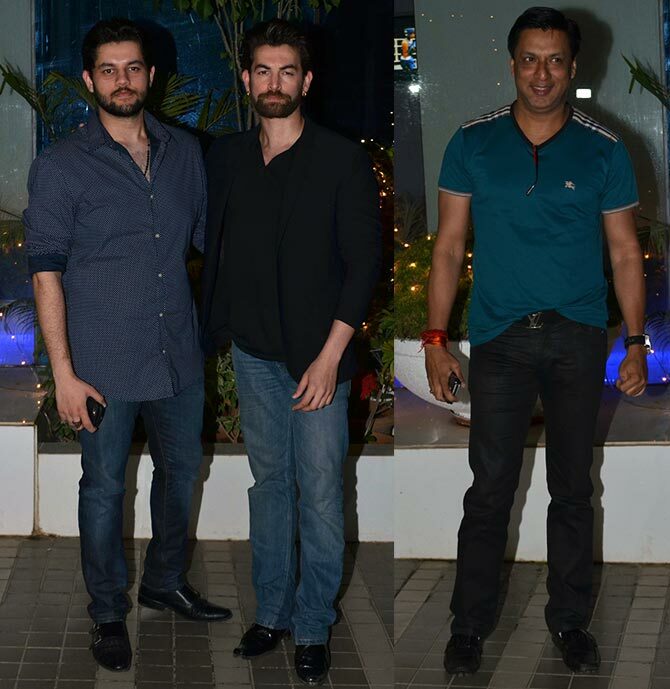 Neil Nitin Mukesh poses with brother Naman. Madhur Bhandarkar, seen right, was supposed to direct Priyanka in their next venture together, called Madamji, but the project is reportedly shelved, thanks to PeeCee's busy Hollywood schedule. 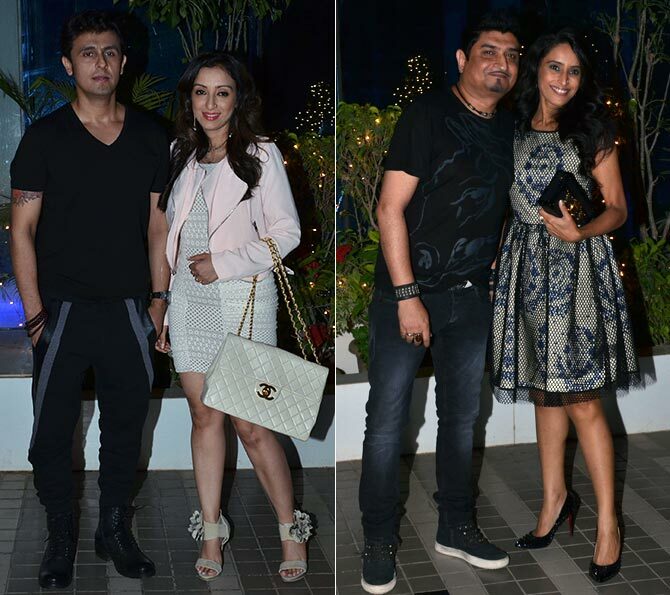 Singers Sonu Nigam and Neeraj Shridhar with their respective wives, Madhurima and Nikhila. 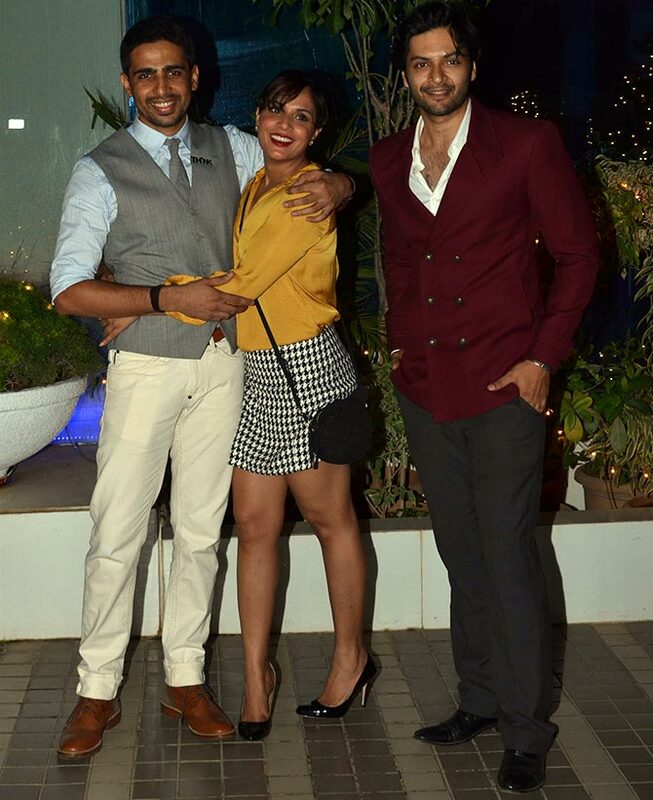 Actors Gulshan Devaiah, Richa Chhada and Ali Fazal catch up. 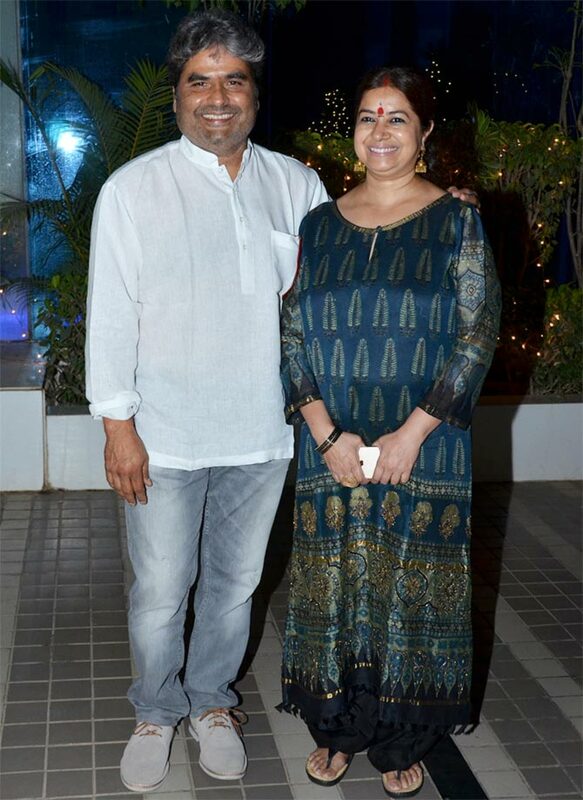 Vishal Bhardwaj, who attended the 62nd National award ceremony, makes sure to attend the party with wife Rekha.